The car news keeps flowing this week with the launch of a new Mercedes E-Class estate, a ridiculously tuned Subaru WRX STi breaking the Isle of Man TT record, and all the info on the UK police force potentially adding a Ford Mustang to their ranks. Yes, the 5.0-litre V8 Mustang! A heavily modified WRX STi has officially smashed the Isle of Man TT record by almost two minutes. The car - driven by rally and stunt driver Mark Higgins - managed to achieve a lap time of only 17 minutes 35 seconds, breaking the previous record of 19 minutes 26 seconds by almost two minutes. The course is a hefty 37 miles long, meaning that to achieve that lap time Higgins had to drive at an average of speed of 128.73 mph. Wow! So what is under the hood of that WRX STi? Well, perhaps surprisingly, it's the same 2.0-litre turbo that the car comes with as standard, albeit tuned by UK-based motorsport tuners Prodrive to an insane 600 bhp. Crazily enough Higgins still believes the record can be broken even further too, saying "we have more left in terms of speed". Well Mark, we look forward to seeing you do that! The covers of Mercedes' latest E-Class estate have been well and truly pulled off, allowing us to see their latest wagon. Mercedes claim it's the most intelligent estate they've ever built, with keyless go, hands-free tailgate, self-levelling air-suspension, plus gadgets like a big 12.3-inch screen, digital dials and more, all justifying such a claim. If you want to take that even further, there's an Acoustic Comfort package available that'll further insulate the car therefore reducing background noise. Smooth. In terms of visuals the E-Class estate is almost identical to its saloon equivalent but with the natural estate shape you'd expect, sporting only slight changes to the roofline and rear lights. The car comes with the same engine lineup as the saloon too, with E 220d, E 350d and AMG E 45 models all coming with the nine-speed 9G-TRONIC automatic gearbox. It'll go on sale later this year with prices expect to start at around £37,000. 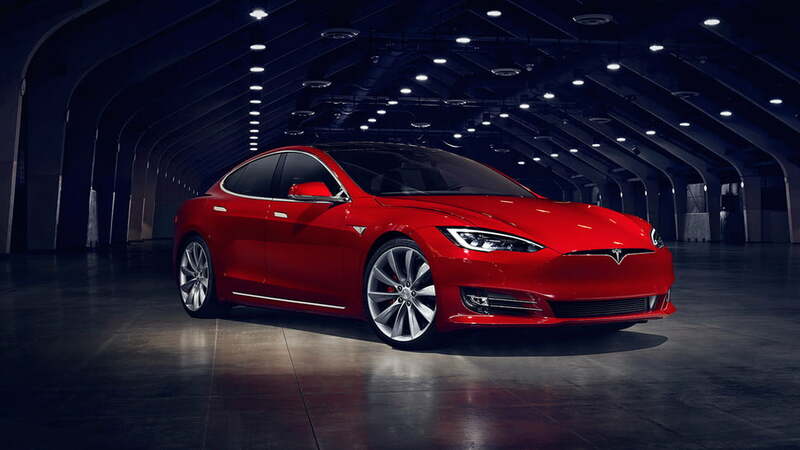 Tesla have revealed the updated version of their Model S electric saloon. The updates to its design cause the car to look more alike the Model X, with a blanked-off front end where the grille would usually sit (if it was a fuel-injected car, of course). It also receives two new entry-level models: the 60 and 60D. This means the lineup now consists of the 60, 60D, 70, 70D, 75, 75D and 90D, depending on how much power you fancy. Other changes include a software update that allows 75kWh charging, meaning faster charging from home sockets or public charge points. More excitingly is the news that a P100D model could be on the way, which would mean an even faster model than the current P90D. All of the new Model S updates will be available this year, with the 60 starting at £53,400. The Ford Mustang is currently being assessed by police as a top-level car for use on the roads in and around the UK. An example of how the car would look was put together for display purposes, giving us an idea of what we could expect in the future. According to reports, the UK police force are currently trialling the Mustang to see how it copes with the rigours of day-to-day police activity. When you consider that the US police have been using the very same car for decades, the signs look positive. You'd have to say that a 410 bhp 5.0-litre V8 engine is always going to be an improvement over the current motors in their ranks, which should inevitably make those high speed pursuits a bit easier to tackle. 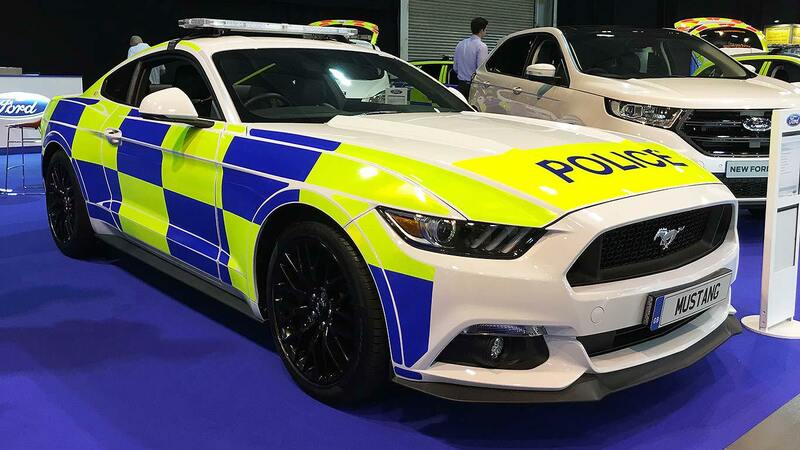 With each Mustang costing £34,995 too, you'd have to say it's a relatively affordable car for the police force to buy in bulk. For now though, we'll just have to wait and see if all this stacks up and becomes a reality in the future. The upcoming Fiat 124 Spider will start at £19,545, the company have announced. The new 124 Spider is a two-seater sports car set to compete alongside the Mazda MX-5, albeit at a £1,100 higher price tag. Whilst the car may seem like an all-new model, it is actually a revival of the old 1966 124 Sport Spider. It'll come equipped with the same 1.4-litre turbo taken from their 500 Abarth, meaning a power output of 138 bhp delivered through a six-speed manual. Three time levels complete the car: Classica, Lusso and Lusso Plus, which essentially translate to Classic, Luxury and Luxury Plus. The main differences are the inclusion of improved infotainment systems, sat-nav, reversing camera, heated leather seats, keyless entry, automatic LED headlights and a Bose stereo system. The 124 Spider launches later on this year.